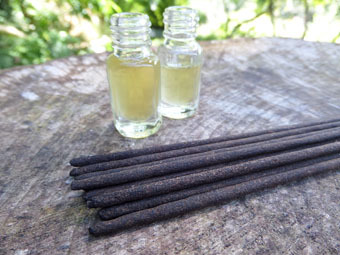 Scented only with pure cedarwood oil. 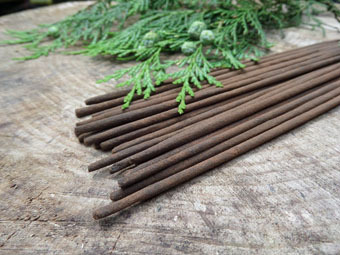 Our cedarwood has a clean and woody fragrance full of soothing earthy tones. 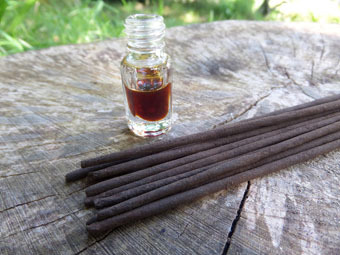 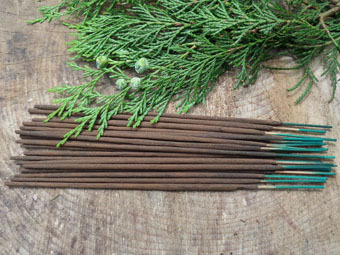 Smooth dry cocoa base notes accompany citrus and fresh juniper in this very calming incense.